There was a time when guidelines didn’t govern the home inspection industry. In its infancy, inspectors were knowledgeable people, often in construction, who wanted to help buyers make better-informed choices. But now, most inspectors follow Standards of Practice, which creates continuity from inspector to inspector and state to state. Standards give customers something to count on. And your home inspection checklist helps you provide it. A great checklist begins with a certain framework that covers a residential property’s major systems. Whether it’s a condo, apartment or single-family residence, some systems are the same from home to home. From there, it drills down to include related systems and their potential defects. Although you can find a simple, general checklist almost anywhere online, a custom approach makes your inspections better and more thorough. There’s less room for errors and omissions if you have a comprehensive guide to use again and again. If you want to improve your business in 2017 or get a new business off on the right foot, here’s some food for thought. Structural components: house foundation, wall structure, floor structure, etc. Interiors: walls, floors, ceilings, stairs, railings, kitchen cabinets, doors and windows, etc. Electrical system: service drop, grounding, service equipment, main disconnects or shutoffs, etc. Exteriors: Siding or wall covering, doors, flashing and trim, vegetation (if it affects the home), soil grading, drainage, etc. Each category has numerous options for reporting material defects. How would you describe the foundation’s materials and construction methods? Is it a brick-and-mortar pier foundation, concrete block or slab? Are there any cracks in the foundation? Where are they located, and do they run vertically, diagonally or horizontally? Is there adequate ventilation in the crawlspace behind the foundation? Ancillary services make you a one-stop-shop for home inspection needs. The same applies to every system, inside and outside the home. And the more you perform home inspections, the more ways you’ll discover to improve the basic framework of the checklist. A thorough general home inspection and checklist don’t cover some of the systems, potential defects and hazards that customers might want to learn more about. That’s especially true for first-time home buyers who aren’t familiar with the process and don’t know the limitations of an average inspection. But each of those expectations is an opportunity. And opportunities are potential ancillary services that could drive in more business. If you want to make customers happier and broaden your potential customer base, ancillary services are the way to go. There’s a lot to be said for inspectors who offer more than the competition. Like a general inspection, ancillary services need inspection checklists to help keep them on track. And because there are so many possibilities with fundamental differences, a different checklist for each helps keep you laser-focused. If there’s high demand for these and other services throughout your work territory, you could build a reputation as an industry leader. Use a mobile app, and you can customize your checklist and send the inspection report from the same device on site. Post-disaster inspections are another possible avenue. Not every disaster qualifies for FEMA-regulated inspections and federal disaster relief. And unfortunately, not every homeowner has insurance that would otherwise inspect the home before paying on a damage claim. The ability to customize turns a basic home inspection checklist into something much more useful for your business. It helps ensure you’ll never miss an important detail, even if it’s something you’ve never studied, seen or inspected before. Maybe the home has an outdoor shower or a solar powered, in-floor radiant heating system. If you live and work in a warm climate, most of the homes in your territory might have a swimming pool in the backyard. Customers have certain expectations, says Real-Life Real Estate Training. Even if the agent has thoroughly explained the inspection process and you’ve included a pre-inspection agreement, going the extra mile and being extra thorough helps. A customizable checklist lets you add anything that’s not included in a general inspection. And that helps add one more layer to your value as a home inspector. If customizing your home inspection checklist takes all day, you might as well work from scratch with notebook paper and a clipboard. With intuitive software that’s easy to use, customization is fast and simple. 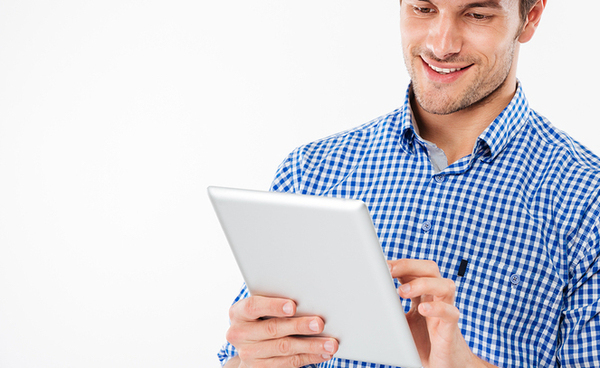 Even better, your checklist and home inspection report software could be all-in-one. That’s what the Report Form Pro mobile app offers. Add non-standard systems as you work without missing a beat, or customize the checklist at home after a job. The app stores your customization so you can access it again when you need it. Maybe solar-heated floors will become a hot new trend in your area, and you can be ahead of the curve. 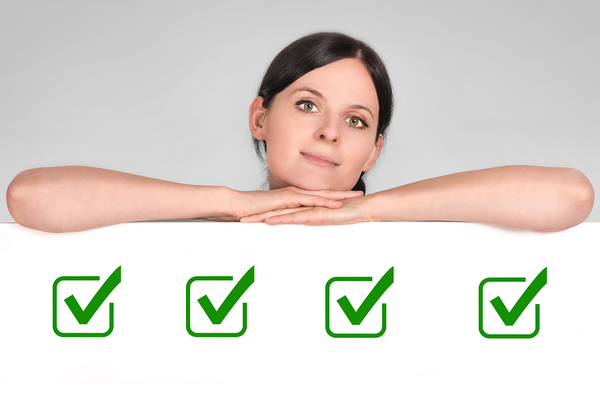 How can you turn a good home inspection checklist into something great? Incorporate customer feedback. Although home inspectors and real estate agents tend to have a working relationship, not all of them support the industry. At The Balance, for example, buyers are strongly cautioned about all of the things that could go wrong if the home inspector’s work isn’t up to snuff. The Standards of Practice are clear. But taking the time to get feedback and use it to improve your checklist breeds goodwill. And it solidifies your name in the home inspection industry. If customers want something more, feedback lets you know about it. Home inspections and the real estate market are linked together. When real estate demand changes, so does the demand for home inspections. With a solid home inspection checklist stored in your mobile device and ready to go, you can meet customer expectations, even if the pace is frantic. Some markets are still sluggish after the recession in the earlier 2000s. There may be ample time, and then some, to perform a home inspection and send the report to the customer. But some markets are booming and every minute counts. If you use a mobile app such as Report Form Pro, time isn’t an issue. Send the report from your mobile device as soon as the inspection is complete. That makes your services more marketable, especially in areas where some potential customers might skip an inspection because they believe there isn’t enough time. Many home inspectors start off in the industry with a basic, almost generic home inspection checklist. And that’s fine. 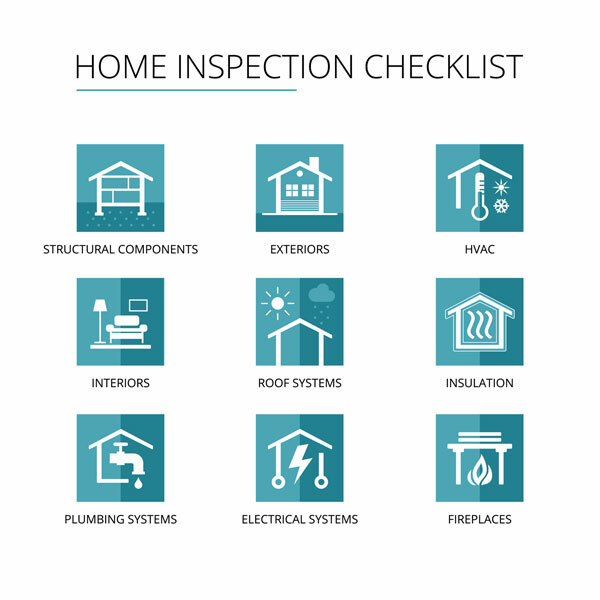 It gets the job done, because most general checklists meet the Standards of Practice set forth by the American Society of Home Inspectors, CREIA in California and other well-respected associations. A beefed-up or customized checklist sets your business apart from everyone else’s. Considering the small time investment involved, it’s worth the effort. With a custom checklist, you can weave in what matters to real estate agents and customers in your area. Perhaps more important, you’ll offer yourself a greater level of protection against accidental oversights. A negligence claim against your errors and omissions insurance could deal a damaging blow to your business. But a checklist guides you through the process smoothly every time. If you want a home inspection reporting mobile app, why not choose one with a customizable checklist built in? Report Form Pro gives you the freedom to personalize the report with your logo, add new home systems as you encounter them, upload images on the fly and use voice commands to spare your fingers from entering data using tiny keys. And as long as there’s a signal on-site, you can send the report to your customer before heading out to the next job. No synching with a computer is necessary. Download our home inspection app for Android, get for your iPhone at the Apple App Store, or find us at Google Play.